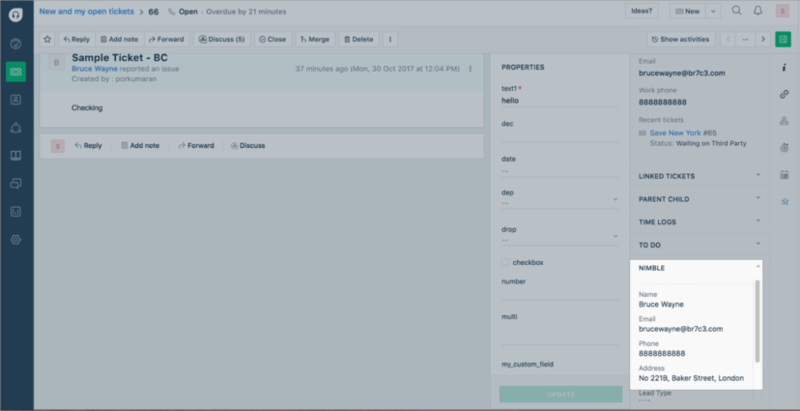 Installing the Nimble app for your Freshdesk will let you access additional information about your requesters from Nimble within your helpdesk. 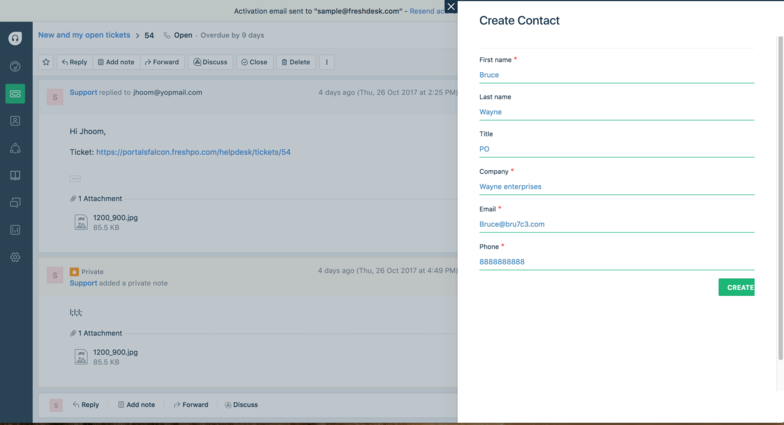 Agents will be able to retrieve contact details of customers from Nimble and see it in an interactive widget inside Freshdesk. 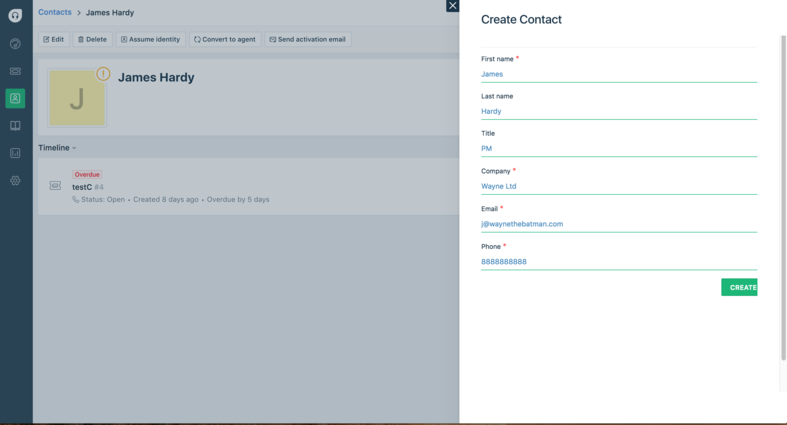 Using the +Create button, agents can enter customer details and submit, and the data will be automatically added to Nimble as well. Access Key: Nimble API key - A support agent can get the API key from the Nimble portal. - Select user settings from the top right drop down menu. - Choose API tokens, copy the “API” token.